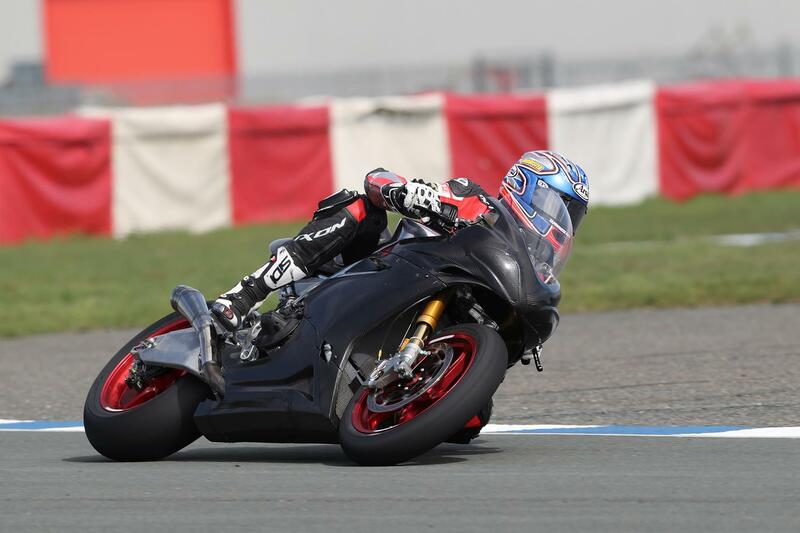 British Superbike star Josh Brookes made his debut on the Norton factory racer he’ll campaign as he returns to the Isle of Man TT later this year at Jurby airfield last week. Brookes and team-mate, fellow Aussie Davo Johnson tested the revised for 2017 Norton SG6 racer at the Manx circuit over two days and both riders left happy with the machine, which is said to be a significant improvement on the SG5 Norton Johnson took to a near 131mph lap last year. Returning to the TT for the first time since 2014 with Norton this year, 2015 BSB champion Brookes admits he had no idea what to expect from the made-for-the-TT Norton prototype. “I want to say the test went better than expected but I didn’t really know what to expect, so it wouldn’t be fair to say that!” he told MCN. “I have to say for a first test it went surprisingly well. As soon as we’d got the positioning and everything right, we headed out for a few laps and instantly felt quite strong. For more on this story, pick up this week's MCN.